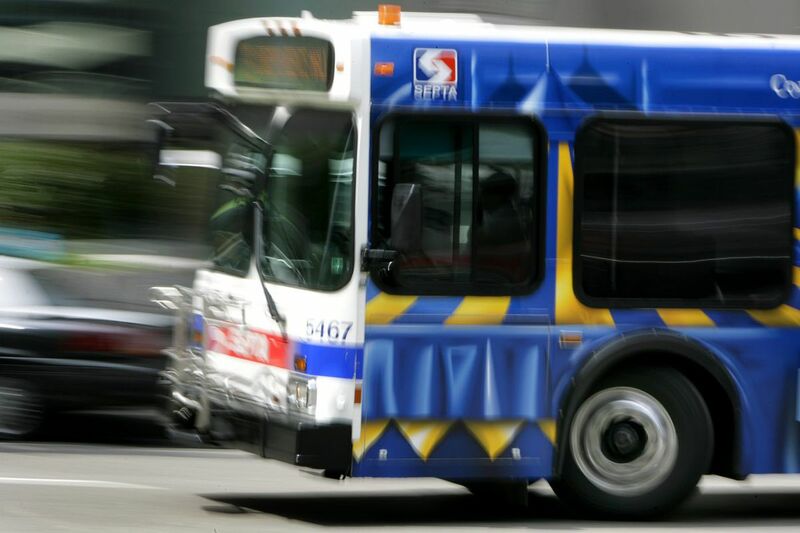 SEPTA is looking to make improvements to its bus service, where ridership has fallen. Looking to overhaul its flagging bus service, SEPTA seems to be seeking inspiration from Houston, which has drawn national attention with its own experiment in drastic bus-network redesign. Changes two years ago led to more frequent service on key routes, more direct routes, and more weekend service. The Metropolitan Transit Authority of Harris County, which oversees bus and light rail services in Houston, has reported improved on-time rates, fewer rider complaints, and a 7 percent rise in ridership with bus and light rail ridership combined. It began with planners admitting they had to start from scratch. "It actually took us as an agency being willing to say, 'We're not doing the best we can,'" said Christof Spieler, a board member of the transit authority, known as Metro. In Philadelphia, more commuters use buses than any other mode of public transportation, according to census data. Yet many riders aren't happy. SEPTA had a 2.7 percent overall decrease in ridership on its bus and trolley routes from 2014 to 2016. Bus service is mired in lateness, with some busy lines late about 30 percent of the time or worse. SEPTA has turned to Jarrett Walker, the Portland, Ore., consultant who contributed to Houston's redesign. SEPTA retained Walker's consulting firm for $250,000 to evaluate the region's bus system and recommend improvements. The results are due by the beginning of 2018. Walker declined to comment until after his report for SEPTA is complete, but officials in Houston detailed the changes there. Whether Houston serves as a template for Philadelphia remains to be seen. That city's geography, demographics, and areas of density are very different from Philadelphia's. "The first piece is really the information-gathering," said Jeff Knueppel, SEPTA general manager. "We may not necessarily do the same kinds of things Houston did." But what happened in Texas does offer a preview of options to bring riders back to Philadelphia's buses. The principles they focused on— frequency, efficiency, and easily understood routes — are seen as a model for bus networks nationwide. "It's started a new trend in the transit industry," said John Orcutt, director of communications and advocacy at the New York City urban mobility foundation TransitCenter. By 2012, annual ride trips in Houston, a city of 2.3 million, had plummeted by more than 20 million over six years. As stories about the recent devastation caused by Hurricane Harvey detailed, Houston has experienced booming development. Bus routes were adjusted incrementally to provide service to new residential and business areas. The result was a confusing, slow, and unpopular service. Metro spent two years developing a new route plan. The designers reduced redundancy by eliminating routes that followed the same paths as the three light rail lines. They made routes more direct by eliminating turns and diversions introduced as transit adapted to new developments. The old bus network treated Houston's center city as a hub, drawing buses through the traffic-dense center to reach other destinations. That slowed service and made no sense in a city with decentralized business and residential centers. More routes now bypass the city core. Routes now have more consistent service during off-peak hours and operate seven days a week. "The Saturday and Sunday thing is so eye-opening for so many people because it's a reminder that there are hundreds of thousands of people who rely on public transportation every single day," said Kyle Shelton, a transportation expert at Rice University in Houston. Metro nearly doubled routes that run every 15 minutes or better during the week. Those 22 high frequency routes serve the city's densest, busiest areas. Frequency attracts riders, Shelton said, as they can expect a ride to come along quickly. Asking travelers to make a transfer to complete their trips is a concern in the transportation world. System-wide, transfers in Houston increased about 1.5 percent with the redesign, but they have become critical, since the routes largely stay along the city grid. "If you try to design a system around not having transfers, you are going to design a system that is not efficient," said Kurt Luhrsen, the Metro vice president of service planning. Riders are more likely to accept transfers if there is only a brief wait between legs of their trip. The improved frequency makes that more likely. Plus, Metro made transfers more palatable by getting rid of transfer fees. Metro was hoping the changed routes would attract more riders than they have, Luhresen said, but he attributed sluggish ridership growth to low gas prices hurting employment in a city reliant on the oil industry. One of the most vocal critics of the changes, Paul Magaziner, a Houston businessman, has called the new system less efficient and indifferent to minority communities. He is seeking to file a Title VI complaint with the Federal Transit Authority faulting Metro for discrimination. "They take it from the minority areas," Magaziner said. "The way we say we have more ridership is they're forcing people to transfer, but it's taking longer to get from point A to B." The redesign, which came without an investment in additional buses, did reduce service to Houston's northeast neighborhoods, which are poorer and heavily minority, Luhrsen said. That area, though, has lost bus riders as the community has aged. Service increased in the city's growing southwest, which attracts seven out of 10 immigrants who move to Houston, he said. "We actually increased the access of low-income individuals and minority individuals," he said. "We almost doubled it systemwide." Magaziner pointed out that Metro has lost revenue since introducing the redesign. Also true, Luhrsen said. It was an anticipated consequence of decisions to do away with things like transfer fees. The priority is to attract riders. Revenue, the agency hopes, will follow. Mayor Kenney's office is already contemplating how to sell a significant change to Philadelphia's bus network. "He realizes the engagement and dialogue needed for communities to understand the benefits that a large-scale bus revamp will bring," said Mike Dunn, a spokesman for the mayor's office. "The mayor is committed to working with SEPTA to make these improvements." Luhrsen acknowledged that Houston's redesign created winners and losers. Some communities got less frequent service. Some riders have more transfers. It required difficult choices to reinvent bus service for a changing city. "We made the majority of our riders' trips better," Spieler said. "We could not achieve that without making some people's trips worse."